If you are not finding relevant resources using keyword searches, try using subject terms, also know as descriptors. These are terms assigned to resources by catalogers using a standardized vocabulary. They are conducive to more precise searching. You will often find subject terms or descriptors in a resource's full record. Some databases also have a thesaurus where you can look up subject terms. 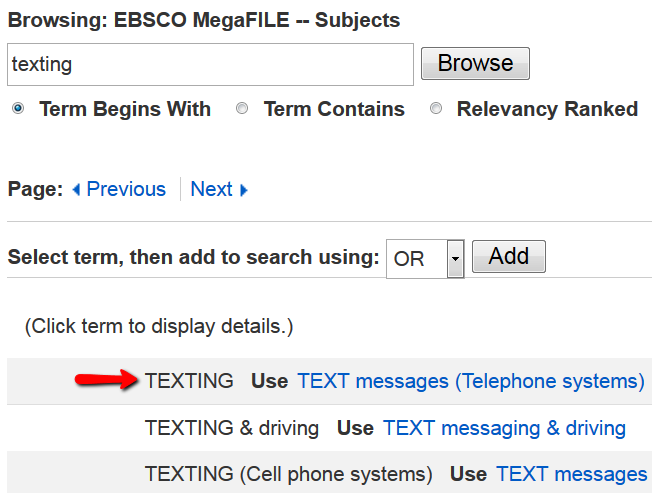 Below is a search for the term "texting" in the EBSCO MegaFILE thesaurus (called Subjects). 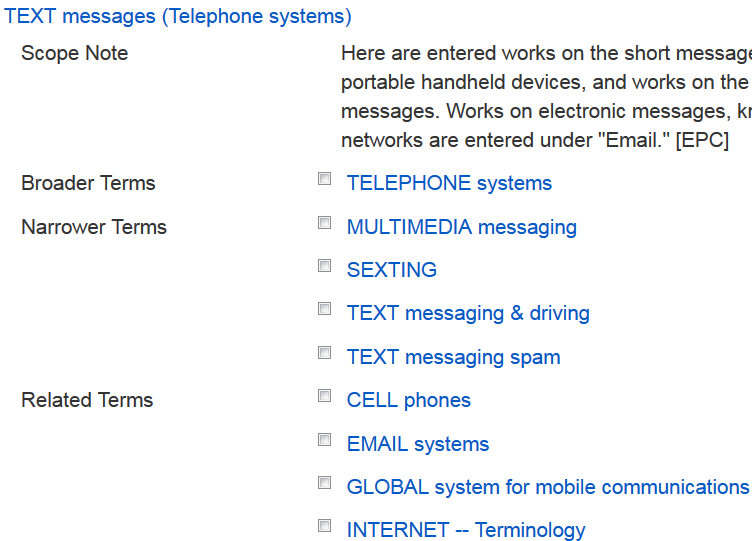 Click on a subject term such as "TEXT messages (Telephone systems)" to see a definition of the term and options for broader and narrower terms. Using subject terms will often help you find results relevant to your research topic. Below is the record for an article found in EBSCO MegaFILE. Click on a subject term to conduct a search using that term. You can also search with subject terms using the database's Advanced Search. This video illustrates using a thesaurus in a subject-specific database.